Home News Gold Risky, life-threatening behaviour? “It’s what sapiens do …”. Risky, life-threatening behaviour? “It’s what sapiens do …”. A PROPOSAL by Sibanye-Stillwater for a metals streaming deal can’t come quickly enough for the gold and platinum producer as concerns about the well-being of its balance sheet are hanging with a grim determination on the share. “Challenges with the South African gold business place the balance sheet back into focus with progress on options to reduce leverage anticipated shortly,” said BMO Capital Markets. It added that the weaker rand had released the pressure to some extent, but “… the South African gold business remains around break-even and we remain concerned that structural issues will continue to affect longer-term performance”. These ‘structural issues’ are manifest in underground fatalities at the firm’s West Rand gold operations numbering 19 out of a total of 21 this year, with the balance suffered at its platinum mines near Rustenburg. As the company employs about 66,000 people, that’s a rate per 1,000 of 0.310, according to research by René Hochreiter of Noah Capital, an investment fund. It’s still way higher than the next highest fatality rate per 1,000 (Harmony Gold: 0,151), but Hochreiter seems to be saying that these events need context. It’s hard not to sound cynical about employee deaths, especially when the South African road deaths comparison is trotted out: that 134,000 people have died in car-related accidents in 10 years, etcetera. Nonetheless, the South African safety trend has improved on mines over time, and two key events affecting Sibanye-Stillwater’s safety crisis this year – an earthquake and a direct flouting of company safety laws – appear to be outliers of note. Hochreiter doesn’t offer much in the way of comfort either. When fatalities do strike, it’s down to personal behaviour, not company cost-cutting or worse, negligence. “Dying on a mine for the sake of meeting production targets is the most useless death of all,” he said. “I almost did it myself whilst trying to unblock a hung ore pass, completely flouting the mine’s safety rules. In retrospect [it was] stupid idiotic, but I did it and many other people on average will do the same in a similar situation. A joint investigation between the company and the Department of Mineral Resources into the spate of deaths will hopefully reveal not quite the same bleak outlook. For now, the attention is firmly on Sibanye-Stillwater’s ability to start running the gold business smoothly again, largely because it needs the cash to cut debt, following its R30bn takeover of Stillwater Mining, the US-based platinum group metal business. “sapiens”??? Allow me to assist – present participle of sapere, “be wise”, (see sapient). No one wants to talk about the root causes of these incidents. Fatalities are the outcome of many safety incidents. They generally do not occur in isolation or as random events. There is probably a culture of risk taking and breaking the rules at Sibanye. It is a cop-out to say that the fatalities are solely the result of employee behavior. Where is the line management responsibility or has this been ceded to the unions? 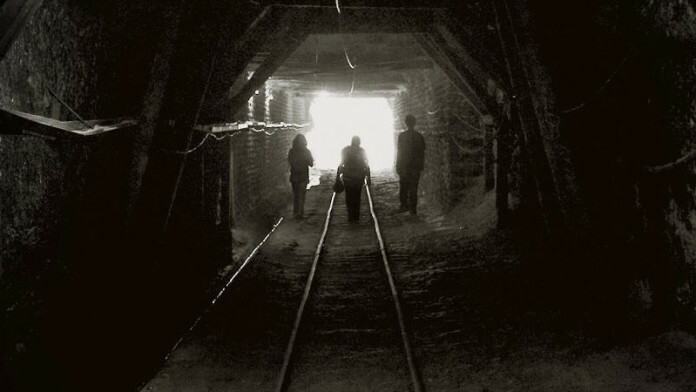 Why were these employees in an abandoned section of the mine? I am sure that this is probably occurring on a regular basis but no-one wants to talk about it as there are numerous vested interests.